So if I know a and b of the ellipse and also the angle of it. How can I calculate the curved line from the point of b to the point of a? knowing the angle and the radius.. 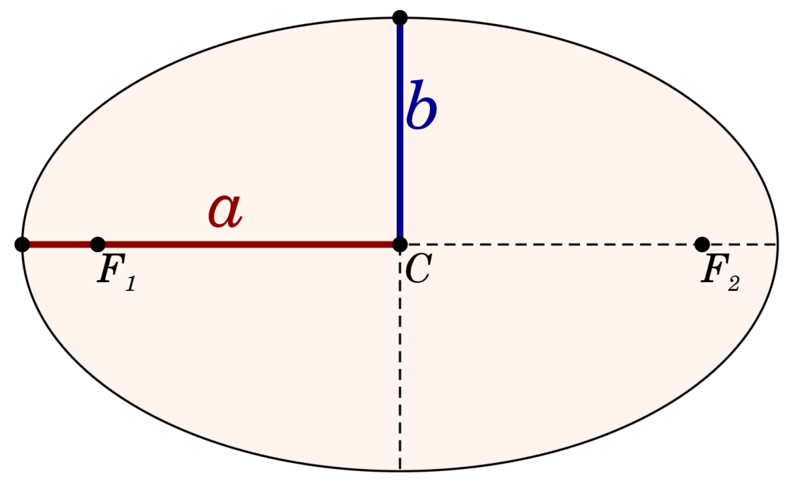 If possible using a, b and the angle of the ellipse. How can you calculate the same thing for an ellipse? So is it r1 + r2 = 2a that I should use to get the length of the curved line? I don't find the article clear about what gives me the curved lines length? There is no simple formula for arc length for an ellipse. The calculation leads to what are called Elliptic integrals, which are non-elementary. Google it and you will likely find more than you want to know.